In 1999, M. Night Shyamalan became a household name with his six-time Oscar-nominated film, The Sixth Sense. The following year, he gave us something even better (at least, in my opinion), and that is Unbreakable – a film that is basically a comic book that unfolds on screen, centralizing on the idea of superheroes possibly existing in the real world. Sure, by 2000, we’ve been in Metropolis and Gotham with the likes of Superman and Batman respectively, but at that time, none of those worlds felt real. The world built in Unbreakable, however, very much did feel real as we followed David Dunn (Bruce Willis) on a journey of self-discovery and finding something remarkable, much to the credit of a fantastic antagonist in Elijah Price (portrayed by Samuel L. Jackson). There we no tricks, no gadgets, not even really any action scenes, let alone anything over-the-top. This was a superhero character study through and through and it was exceptionally well done by a passionate writer/director in Shyamalan. 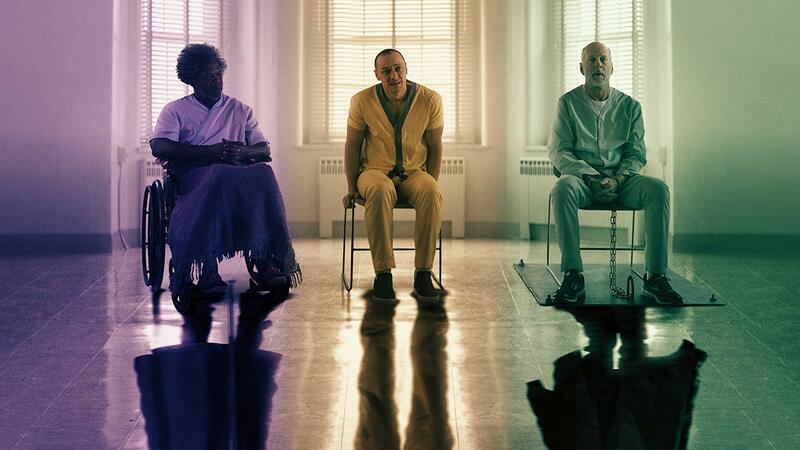 For the next sixteen years and despite Shyamalan putting out eight films during that time, the number one question he would always get was “When are we getting a sequel to Unbreakable?” He answered that question in 2016 with his film Split, a fantastic James McAvoy led tale of a man suffering from dissociative identity disorder (DID) in which a number of his twenty-three personalities were evil. Both films are incredibly well done and can stand on their own legs, but when he tacked on the familiar score from Unbreakable into the final minutes of Split and showed David Dunn sitting in a bar watching the aftermath of the events from the film, Shyamalan had done it again – he blew people’s minds. From that moment we were in the endgame. 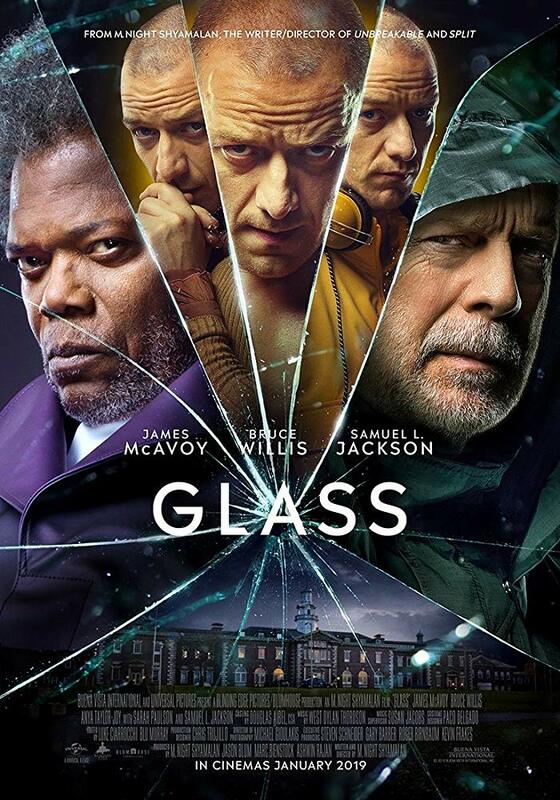 We knew what was next, and three months later, he announced it on his Twitter – Glass, the third and final film rounding out his planned trilogy since Unbreakable in 2000. For the first time in years, there’s a lot on the line for Shyamalan with the expectations for this movie being through the roof. Does it live up to them? In some ways yes, and in more ways no. The film begins with a promising sequence of events. McAvoy is at his absolute finest as we’re reintroduced to The Horde who’s currently holding four cheerleaders captive in an abandoned warehouse. On his tail is our hero from Unbreakable, David Dunn (now dubbed The Overseer) and his son and partner in crime, Joseph (Spencer Treat Clark), who both run a securities shop by day but protect the city by night. After an initial showdown, the action takes a backseat (as does Willis for most of the film, shamefully) and the film attempts to become the Shyamalan thriller one should expect…except it’s never really as thrilling as I had hoped it would become. Great moments are sprinkled in throughout the film, no doubt, but for the next hour and and a half, Shyamalan works in several callbacks to the previous films, attempting to tie everything together in every way possible. Some of the revelations work (some even of which were already assumed by avid fans), but some of them were so begrudgingly unnecessary and felt incredibly cheap. 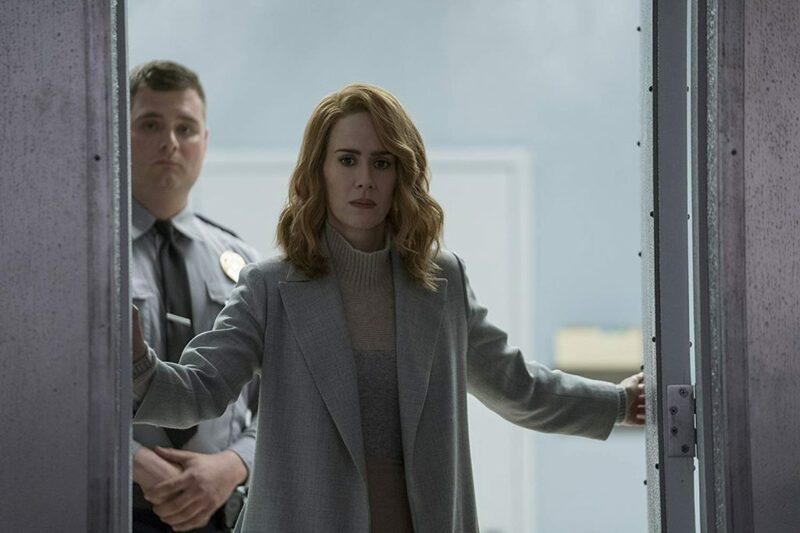 Sarah Paulson is introduced in this film as Dr. Ellie Staple, a psychiatrist who specializes in superhero delusions of grandeur. Her character acts as a staple (har har) in regards to questioning the reality in which our characters live. Can superheroes be real in this world? I, for one, certainly hope so considering the entirety of Unbreakable was made to convince us they could be. Once that moment of doubt was entered into the equation though, the film became unhinged and spiraling into a game of what’s real and what isn’t. You need not worry though, you do get an answer. Performance wise, this is one hundred percent McAvoy’s movie. He knocks it out of the park in every personality he takes on and is quite remarkable in doing so. Jackson, when he’s reintroduced, doesn’t say a word in the film until maybe an hour and a half in, but still manages to pull off an exceptional performance following the last time he was in the purple suit. Willis, as stated above, kind of takes a backseat in this movie. He doesn’t really have a whole lot to do other than be the hero we were introduced to nineteen years ago, which was kind of disappointing. I’m still very much on the fence as to how much I enjoyed Glass, however. 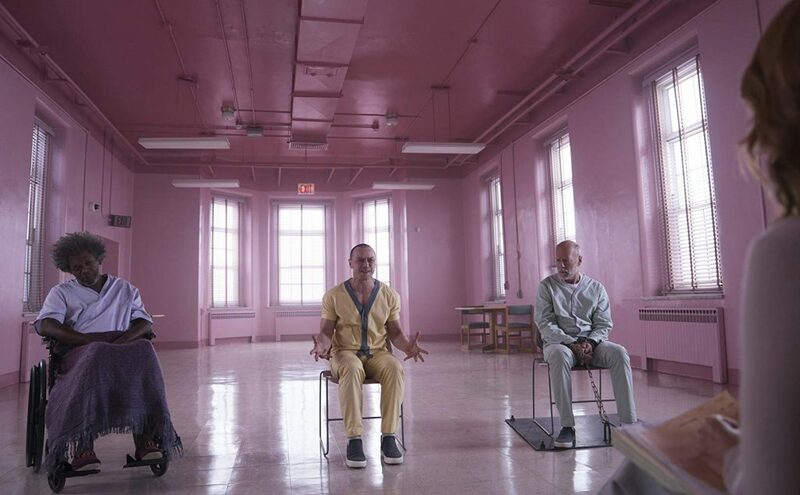 Perhaps my expectations were too high, because at the films end, I couldn’t help but ask myself, “Is that it?” On the other hand though, Shyamalan at least returned to form as he did with Unbreakable and very much set out what he intended to do by making this feel like a comic book onscreen. I just don’t feel like it was quite the comic book we needed. The overuse of invasive close-up shots combined with the overuse of Elijah’s on-the-nose narration just felt like the viewers were being spoon-fed throughout the film, and it didn’t need to be that way. Are we spoiled with what Marvel has given us in the past ten years with hit after hit of exciting comic book adapted films? Would Glass have had a better shot of being more accepted had it come out ten years prior? Maybe. Better question – would Unbreakable have the same amount of acclaim if it came out today? I’d like to think so. All the pieces were there for Glass to shine after the incredible build-up from Split’s finale just two years ago, but it in the end I couldn’t help but feel shattered. It had brief glimpses of greatness, but even more glimpses into its flaws. Perhaps on repeat viewings, should I make the time for it, I’ll have a change of heart.